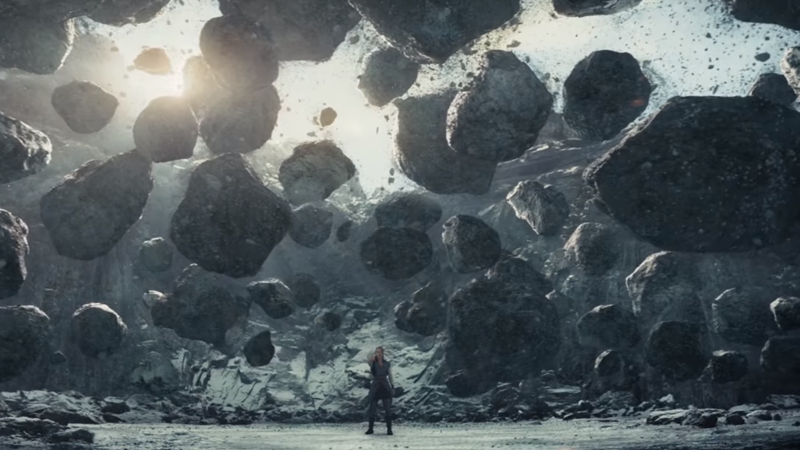 Rey is us, the rocks are annual Star Wars movie releases. The Star Wars movies under Disney’s purview have ranged from excellent expansions to the franchise to perfectly fine—opinions may vary of course, but there hasn’t really been a generally poorly-received one. There has been quite a lot of them though, with even more on the way. But Walt Disney Company CEO Bob Iger says that maybe we can start to expect them to spread out going forward. I made the timing decision, and as I look back, I think the mistake that I made—I take the blame—was a little too much, too fast. You can expect some slowdown, but that doesn’t mean we’re not gonna make films. J.J. [Abrams] is busy making [Episode] IX. We have creative entities, including [Game of Thrones creators David] Benioff and [D.B.] Weiss, who are developing sagas of their own, which we haven’t been specific about. And we are just at the point where we’re gonna start making decisions about what comes next after J.J.’s. But I think we’re gonna be a little bit more careful about volume and timing. And the buck stops here on that. This is perhaps likely down to the fact that the most recent release, Solo: A Star Wars Story, “merely” did decently at the box office. It wasn’t a flop like some easily-excitable people would like to shriek, but it wasn’t blowing up box office records like a fully-armed-and-operational battlestation blows up peaceful pro-Rebellion worlds like many (including Disney) have come to expect of a Star Wars movie. Turning Star Wars movies into events instead of an annual occurrence is a good way to get people excited for any Star Wars, whether it’s a mainline movie, a Star Wars Story spinoff, or one of the upcoming, more out there movie plans like the Rian Johnson and Benioff and Weiss projects. But it’s also a good idea because it will, hopefully, allow for more varied Star Wars material to be made. A regular, ceaseless cycle of yearly Star Wars means that it’s easy to get trapped into a cycle of movies that, aesthetic or tonal tweaks aside, generally cover similar Star Wars-y things we already know and love—because that’s what works—leading to a sameness the franchise desperately needs to avoid if it wants to keep expanding and thriving like it has been. Plus, it’s not like that means there’ll be no Star Wars around just because the wait between movies is getting longer. Part of the strength of the post-Disney Star Wars era is that the franchise’s existence beyond the big screen is more vibrant and vital than ever, with books, TV shows, and comics fleshing out the universe in great ways on a regular basis. So even if you’re not going to be getting a Star Wars movie every year, there’s still going to be plenty of the galaxy far, far away to go around.